Keys To The Game On Defense For The New England Patriots | NFL News, as it happens, when it happens. Your one stop shop. The New England Patriots are in full game preparation mode for their Thursday night opener against the Pittsburgh Steelers at Gillette Stadium. 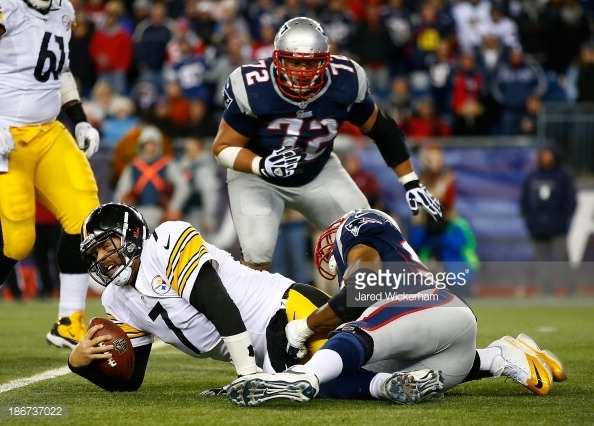 The Steelers were an 11-5 team last season and won their division with the third spot in the AFC playoffs. However, an injury to Le’Veon Bell in week seventeen lead to the Steelers falling short to the Ravens in the wild card round. Don’t let their early round exit fool you, the Steelers were a dominant team at times in 2014, mainly offensively. The Ben Roethlisberger lead offense finished the season second overall in total offense, behind the New Orleans Saints. Pittsburgh will have one of the most dangerous offensive players in the game on Thursday night with Antonio Brown. The young inexperienced secondary, and defense as a whole will certainly have their hands full Thursday night. Here are my keys to the game defensively for the Patriots on Thursday night. Contain Ben Roethlisberger: One of the main reasons for the Steelers being one of the most consistent teams in the league over the past ten years is Ben Roethlisberger. His uncanny size for a quarterback at 6-5, 241 pounds makes him very difficult to knock off balance and sack. He can shake off defensive lineman and roll out of the pocket and make big throws. As Bill Belichick said in his press conference this week he touched upon Roethlisberger’s size. The Patriots will need to contain him and keep him inside the pocket, because when he gets outside and finds open receivers down field he unleashes it. Players such as Chandler Jones, Jabaal Sheard, and Jamie Collins will be essential in keeping Roethlisberger contained. He won’t take off and run like an Andrew Luck, but he still needs to be kept in tact. Jamie Collins played a key role in keeping Andrew Luck inside the pocket twice last season. Bracket Brown: Antonio Brown is without a doubt one of the top three wide receivers in the National Football League. He is extremely fast and is lethal when he gets into the open field. Pittsburgh uses him in the slot as well as on the outside. 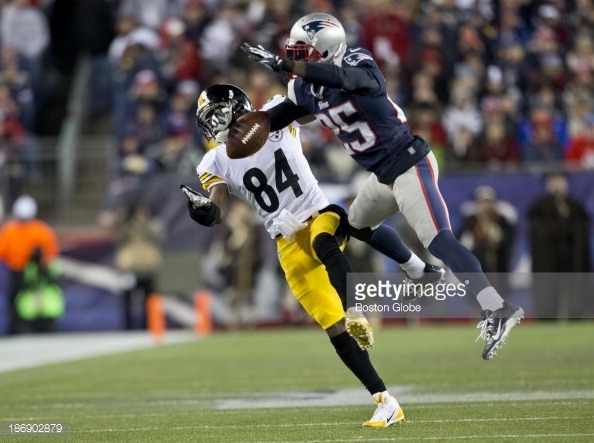 All Patriots fans should be expecting the Steelers to target Antonio Brown early and often, given the very unproven Patriots secondary. Last season the Bill Belichick had the pleasure of having two very solid cornerbacks, and they were able to double cover elite wide receivers with ease, with Devin McCourty or Duron Harmon shading over the top. This season, and on Thursday night it will be very different. The team can still double team Antonio Brown, but they will be more vulnerable when matching up with Marcus Wheaton one on one. However, Malcolm Butler and Tarell Brown should be able to get the job done this week because the Steelers only have one dangerous wide receiver. Bend And Don’t Break: The Patriots defense does not have much talent at the cornerback position leaving them vulnerable against a pass happy offense like Pittsburgh’s. With Le’Veon Bell suspended, the Steelers will be chucking the ball all over the gridiron. The Patriots may play a bit of zone coverage as well, because the first few weeks are a feeling out period. That means yards will be given up. The main point for the Patriots is they need to get off the field, particularly past the fifty yard line, and when they are in the red zone. 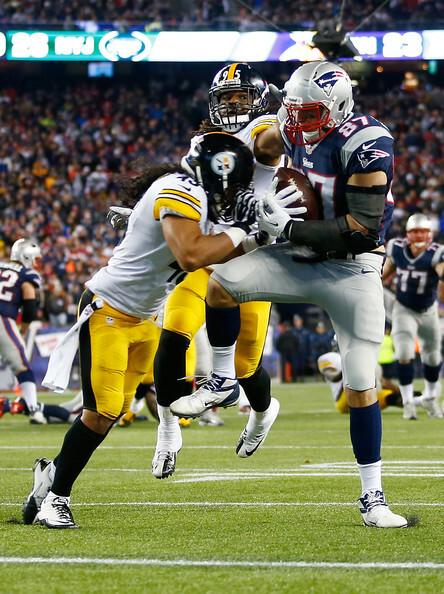 Make Pittsburgh settle for field goals not touchdowns, because the Patriots offense should be able to answer.